These big luxury boats are the best for groups of 16 and all the way up to 40 guests. Luxury accommodation. Private pool. Professional crew. Interesting Ideas. Top 10 Motor Sailors from Croatia. 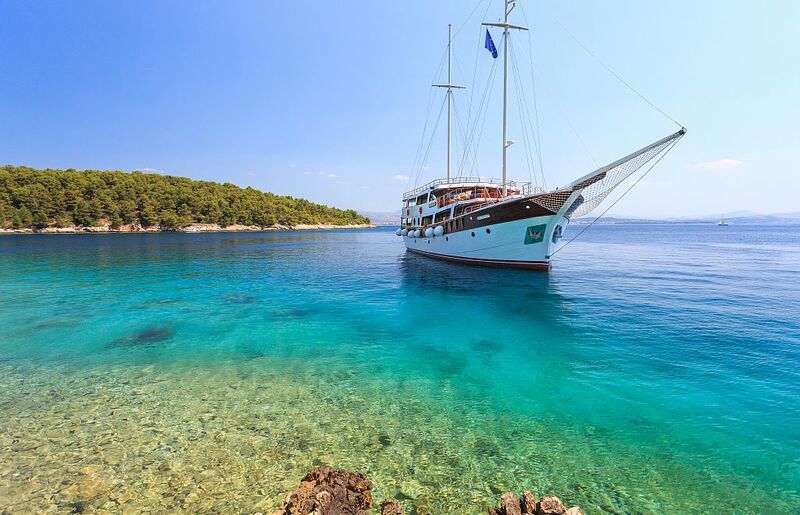 Croatia probably offers the most attractive possibilities, if you are a group of 20 to 40 people and do not wish to spend 150.000 €/Week for a charter of a luxury cruise boat for luxury sailboat cruise. We would like to introduce you to Croatian Luxury Motor Sailors, that will take your breath away – and will not break your wallet. What is a Croatian Motor Sailor? Croatian “luxury” motor sailors are mostly steel ships, that have from 8 and all the way up to 20 cabins. They have a steel hull and can range from 30 to 50 meters in length. They have a crew of 5 to 10 people, very comfortable cabins (all air-conditioned), each with own private bathrooms. Most of them also have private pools, lots of “sunbathing space” and a stunning salon, where the food is served. Prices can range all the way from 15.000 €/week (excluding food and drinks) up to 50.000 €/week or more. 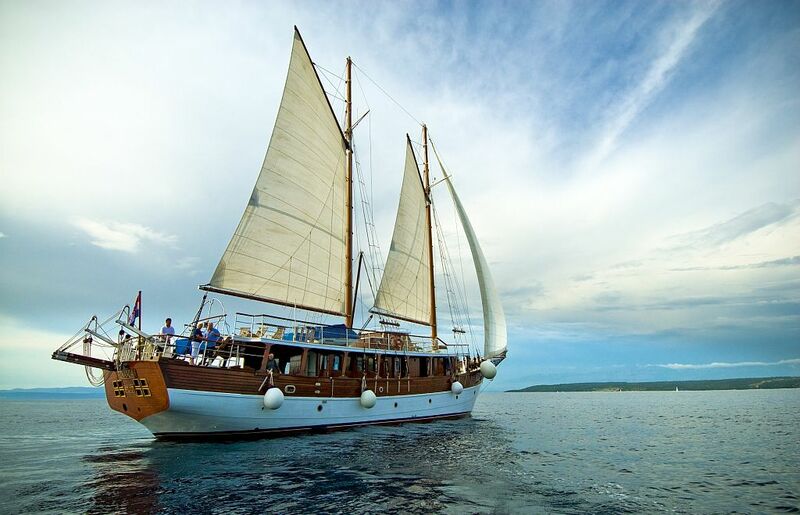 Croatia as a destination is a force in nautical tourism. There are several thousand sailing yachts which you can rent. There is also a very nice variety o motor yachts for charter. But there are 2 sections, that have really evolved in the last 10 years in Croatia. As most of the people know what is a motor yacht, we will explain a bit more about what to expect on gulets and what to expect on motor sailors. Maybe the main distinction between motor sailors and gulets is, that gulet is considered to be a Yacht, while motor sailor falls into a category of Ships. When you rent a gulet, you go Yachting. When you charter a motor sailor, you go on a cruise. This maybe sounds a bit vague, but the concept does make sense. Start planning now and be one step closer to your dream gulet. While gulets stay most of the time on the anchor, there is a large emphasis on swimming, water sports, escaping towns and crowded ports, on motor sailors the concept is different. You still get lots of swimming and relaxation, but most of the time you go to different ports every evening, you explore city centers and you get maybe a bit less of swimming, but you get a bit more of sightseeing. This, of course, does not mean you can not go to a different town every day also with a gulet, or spend most of the week on the anchor with a motor sailor. It is all flexible. 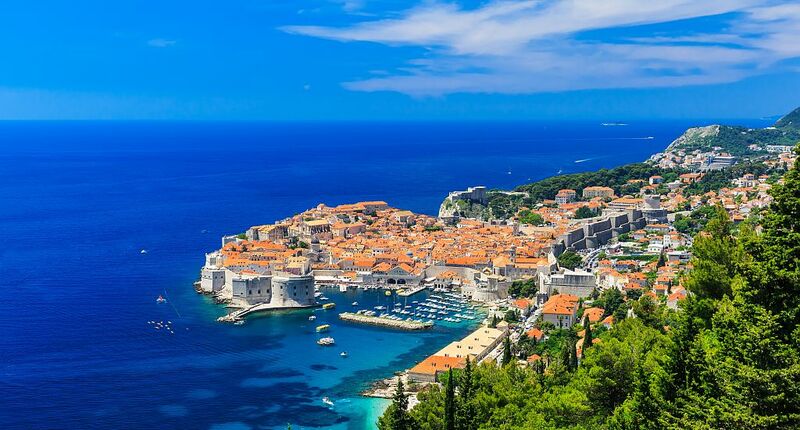 You can get some general idea about different Croatia cruise itineraries. Size is the obvious difference. Motor sailors are bigger, stronger ships, that can easily take from 30 to 40 people in very luxurious cabins. However gulets offer an amazing “al fresco” option of dining outside, they are more boutique and can accommodate from 8 to 12 people in a perfect scenario. I would not say one is superior over the other. They are just different, so it does depend on what you are looking for. Price range in motor sailors is really huge. You have older wooden versions, which have 10 to 15 cabins and 2 or 3 toilets used by the entire group, and their prices can start under 500 €/person/Week including food. But we will concentrate in this post on DELUXE motor sailors, which have prices in high season at around 25.000 – 30.000 €/week (and all the way up to 50.000 €/Week). To compare this with gulets, here is the best gulet yacht to charter in Croatia and a couple of alternatives to compare with. You can also check the entire fleet of gulets. I think you will get the best idea about these ships through examples, of what is available. While now there are more than 150 ships of this type available in Croatia, do not let this fool you, that it is easy to get an available option or that you can negotiate easily on the prices. 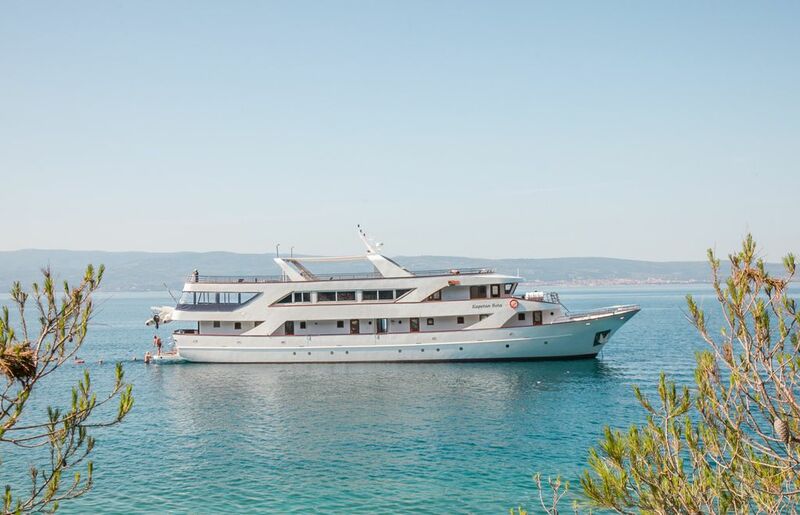 Most of the boats in Croatia are booked through the season via the large tour operators and used for cabin charter basis, so it is not easy to get an available week, especially on the last minute basis. 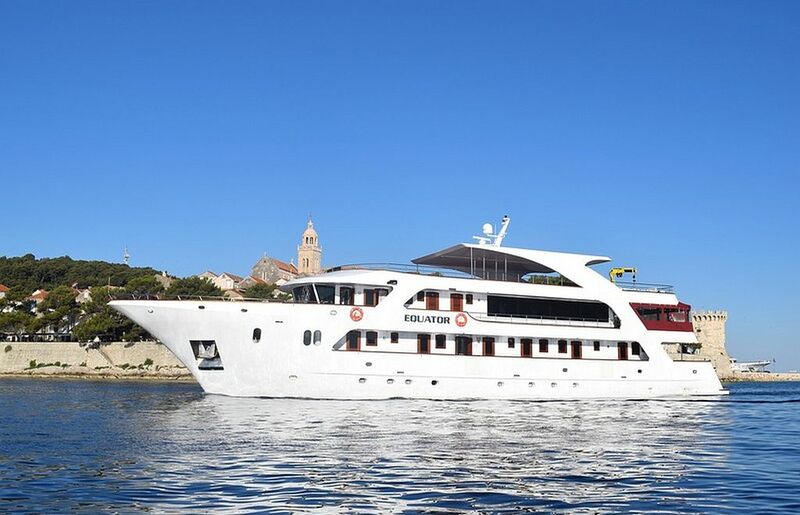 Most of these Croatian boats get booked 1 year in advance, so you are lucky to get a good available ship for private charter. Here are 16 ships for large groups from Croatia, we like the most. 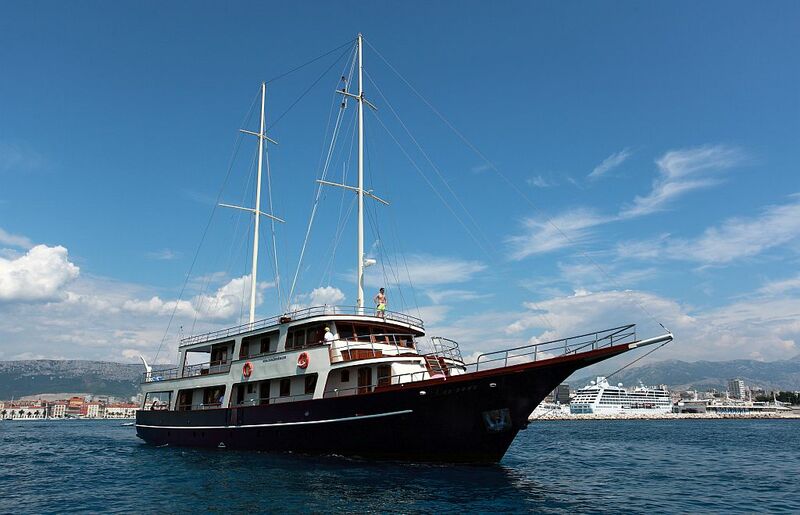 Only Deluxe ship with 11 cabins in Croatia. Large Jacuzzi on board for daily fun and evening romance. Possible departures also from Pula, Rovinj and Rijeka. Unlimited air conditioning in all cabins. Very close business relationship between Goolets agency and Cesarica (expect special treatment). 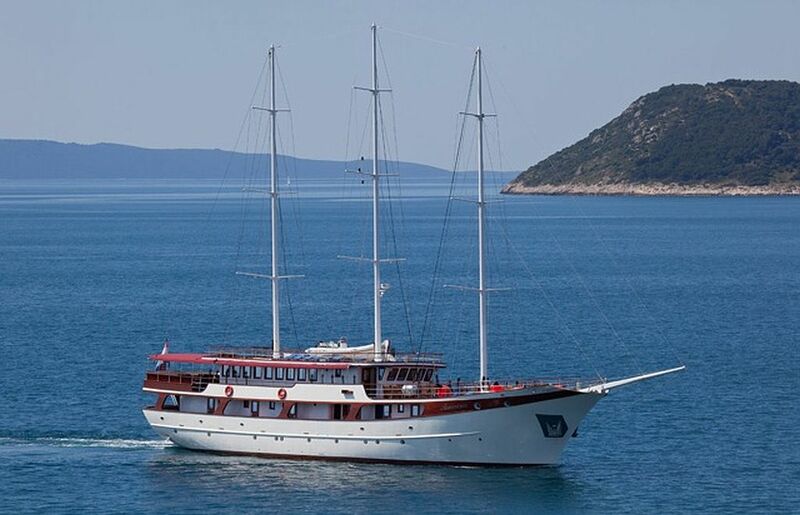 One of few Croatian boats that can accommodate up to 18 guests in Croatia. Very clean, perfectly maintained, all services are checked by owner Andrea (one of the most simplistic ship owners in Croatia). Woman’s touch – everything is at the highest possible level. 22.000 l water tank – you will not run out of water on this ship and you will not need to spend time while the crew refills the tanks. 12 hours of air conditioning/day included in price – more than on most DELUXE SHIPS. Very large salon – useful if you cruise during off season – also useful if you have children on board and you need to keep them safe while the ship is cruising. 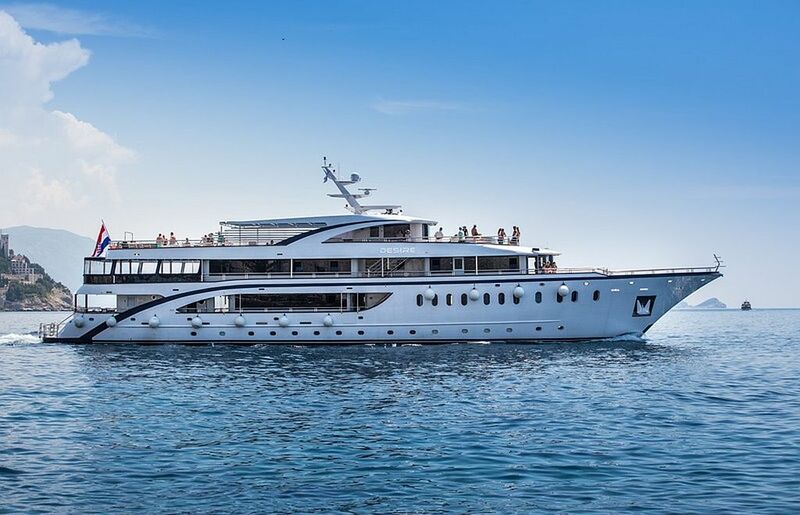 The most luxurious 8 cabins vessels in Croatia at the moment. Spacious and stylishly furnished cabins and salons. Two large decks for sunbathing. On the back deck, you can relax in a jacuzzi. You will be served by a great and professional crew with hospitality. She was built in 2016 and has all the amenities of a luxury ship. 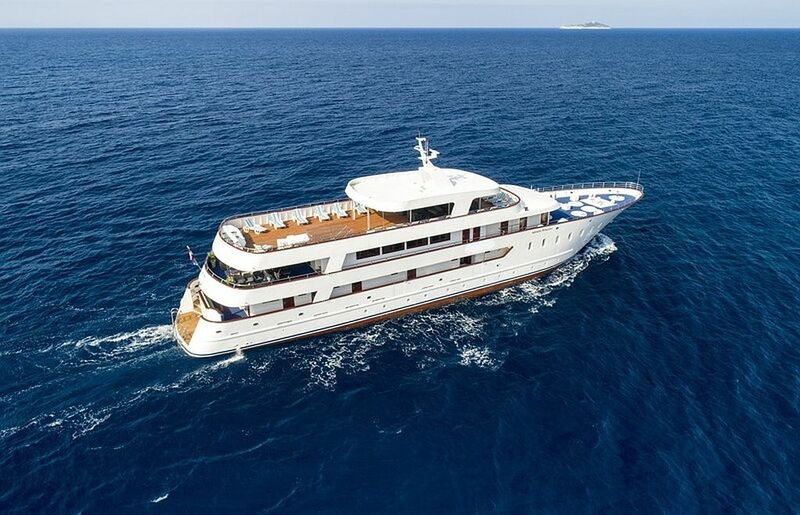 She offers ultimate comfort in 18 spacious cabins, a large jacuzzi on deck, modern salon and one of the best captains and chefs in Croatia. Also a ship, which does provide flexibility in matters of the itinerary, you can upgrade the menu and organize any extra activities you might be interested in. Romantic Star has 7 crew and can carry up to 38 passengers. Brand new vessel built for the 2018 season. It has 18 spacious cabins which can accommodate up to 36 passengers. All cabins are air-conditioned and feature a double or twin beds, bathroom, wardrobe, Wi-Fi and storage space. MS Mama Marija features an extra-large full air-conditioned salon-restaurant with bar, LCD TV, Wi-Fi and panoramic windows. Outdoor features include a covered terrace with ample seating, a swimming platform for easy access to the sea as well as a jacuzzi on the sun deck. 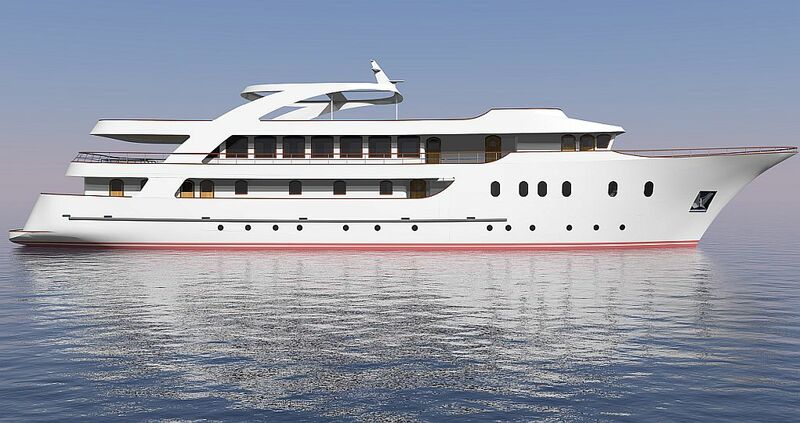 New motor yacht larger than others in size, fully air-conditioned, built in the Split shipyard in July 2015 according to newest European standards. Length overall 40,6 meters and 8,1 meters in width. She has 18 very spacious cabins with private facilities and air-conditioning providing elegance cruise for up to maximum 38 persons. Passenger cabins are situated on two decks while crew members are accommodated in separate living quarters reserved for them. Motor sailor with perfect size of 45 meters. It has 18 elegant cabins which can accommodate maximum 40 passengers. 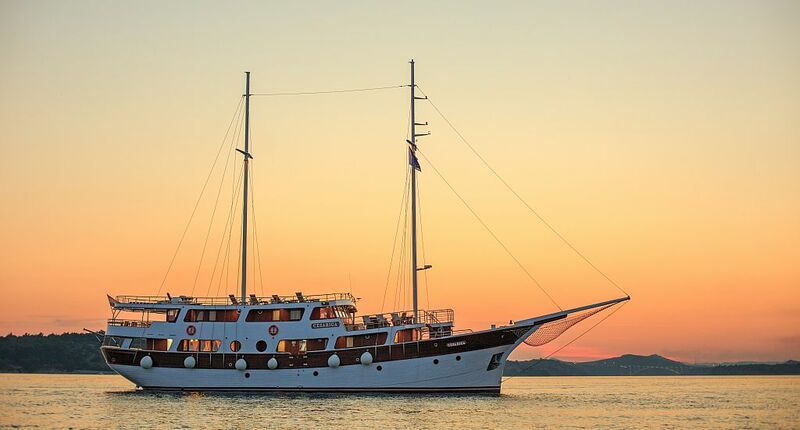 They will be served by 9 crew members who will exceed their expectations for a comfortable and relaxing cruise through natural beauties and cultural heritage of Dalmatia. 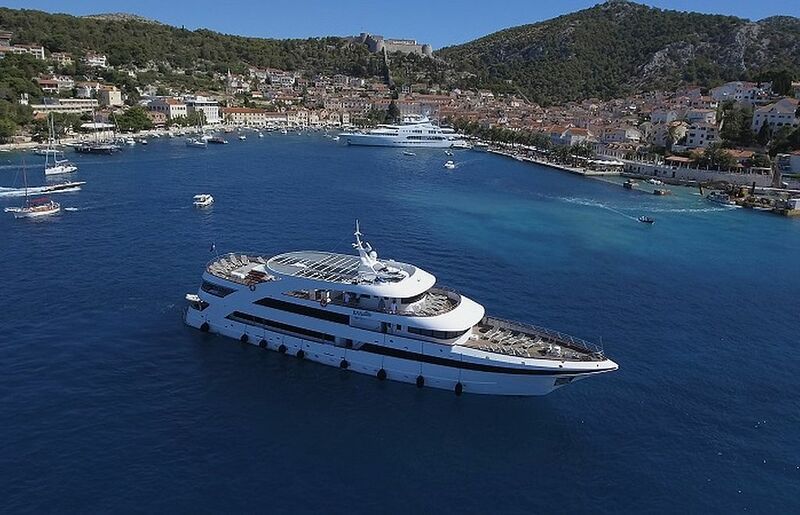 One of the biggest motor sailors you can rent out for your Croatia cruise. On 48,5 meter long vessels you will find 18 air-conditioned cabins which can accommodate 28 passengers. Agape Rose has multiple decks for sunbathing and relaxing. Outdoor features include a jacuzzi. The team of 9 crew members will serve you through the whole cruise and make sure you will experience amazing holiday on the sea. Designed to provide guests superior comfort and accommodation. Amorena has 7 professional crew members who are able to provide highest quality service and cruise itineraries. 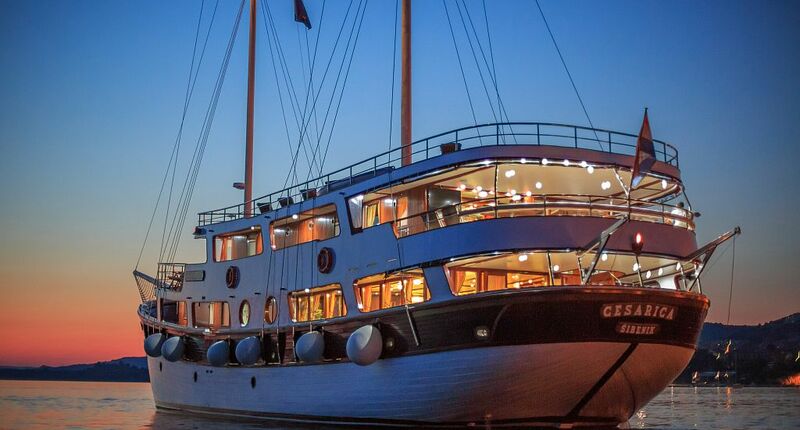 45 meters long gulet has 19 cabins with own private facilities on lower and main deck. On the upper deck in saloon, you will find bar-restaurant looking out on the terrace and sundeck. Get the perfect luxury Motor-Sailor from Croatia for you. Casablanca is a luxury cruising yacht. 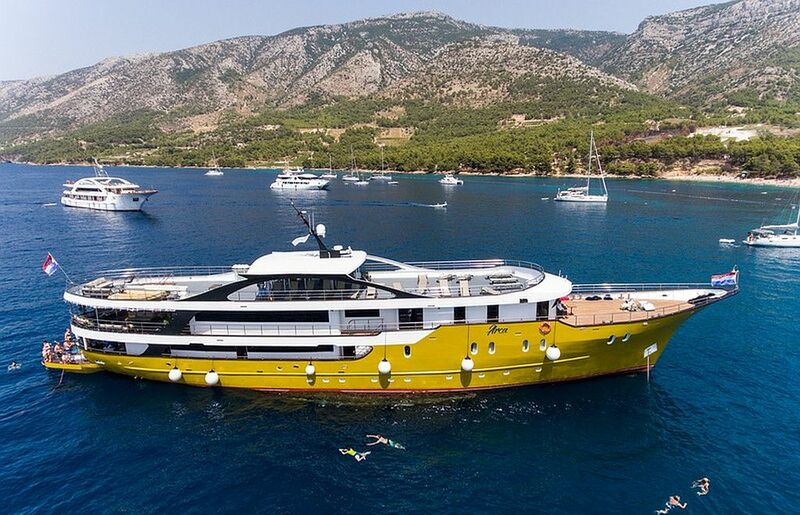 51 meter long yacht can accommodate up to 38 passengers on board in its 19 furnished cabins. With its 250 m², the sun deck is one of most impressive features with pool for 8 persons. The yacht also includes gym and wellness area. 10 professional crew members are dedicated to making your cruising holiday amazing as it can be. Casablanca is ideal for hosting incentive programs, business meetings, weddings and all sorts of events. Motor sailor Arca is a newly built ship. It is classified as a 5-star rating luxury cruise boat. On board, you will find a nice pool at the back deck. 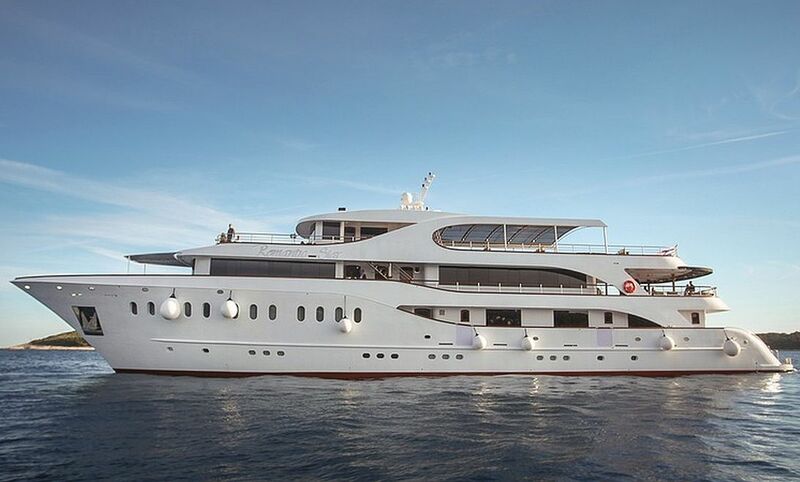 The 48 meters long boat also features a comfortable roof top where you will spend most of the time. There are 20 spacious cabins which can accommodate up to 40 guests. You also have an indoor dining area where you will be served by crew team of 8 members. One of the most spacious motor sailor boats you can find. 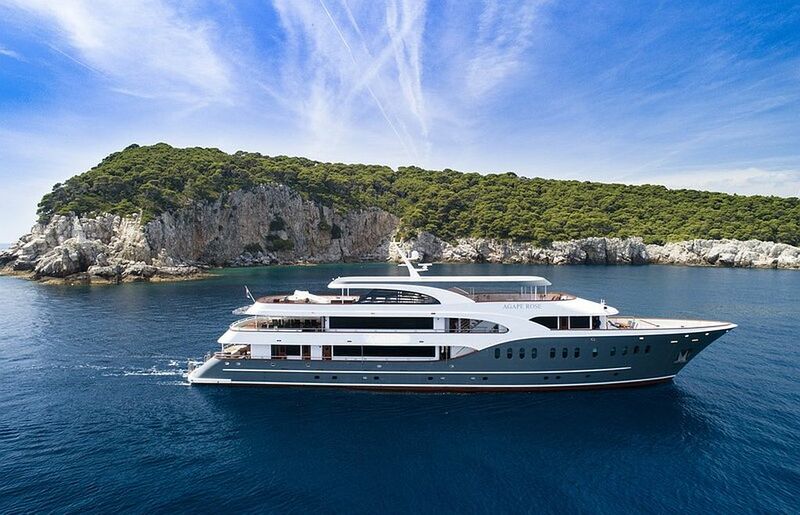 40 guests can be accommodated in 19 elegant cabins on this 47 meters long newly built ship. You have multiple decks for sunbathing and relaxing. Most interesting is the rooftop where you will find a jacuzzi. 8 crew members will take care of all your wishes and service you in the indoor dining area and salon. Desire is a large luxury yacht classified as 5-star rating boat which is newly built. On the rooftop, it has a pool and a jacuzzi. Inside the ship, there are 20 cabins for 40 guests. Indoor of the ship also features a beautiful dining area. The crew team consists of 8 members that will be available for you. Front deck is noticeable for sunbathing and enjoying the holiday. Launched in 2017 what means Equator is a brand new large luxury ship. Sundeck measures 200 square meters and features a jacuzzi which is perfectly designed for relaxing. You can choose between 18 cabins with private facilities and air conditioning. There will be 6 crew members which will serve 36 guests on this ship. 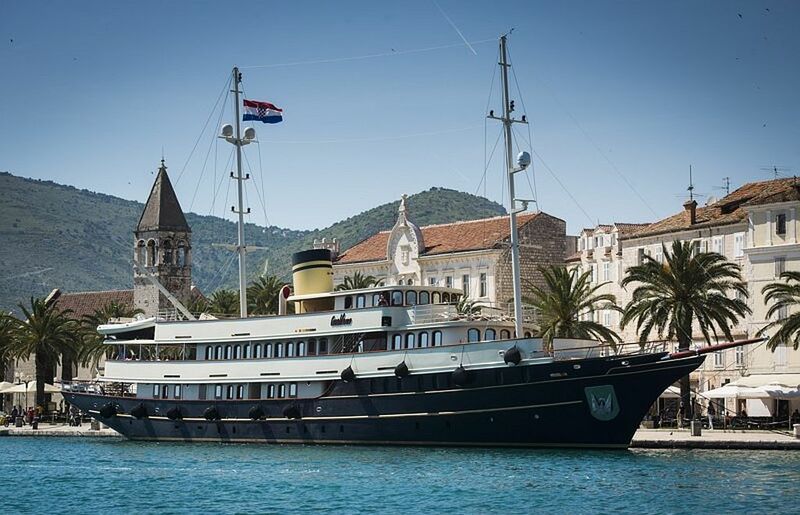 One of the most luxurious and most attractive ships in Croatia. With its 47 meters is perfect for cruising between small islands and coastal towns. On the rooftop, you will choose your own sun deck. On the back deck, you will find a jacuzzi. 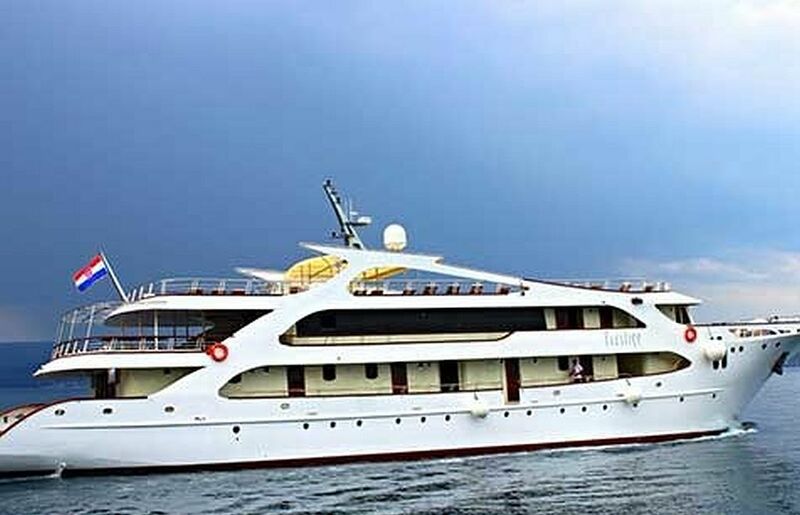 Prestige features 21 spacious cabins with private facilities which can accommodate 41 guests. If you like these options, we can help. All you need to do is fill out the inquiry form on this page, and one of our sales experts will get back to you with good ideas. Choosing the good gulet, is just part of the story. You need to put together the ship with a perfect itinerary, combine it with good food, prepare the crew for your arrival and set the right expectations to all the people in the group.